5x8' Multi-Use Survival Tarp Kit AKA "M.U.S.T". is a complete lightweight (20oz.) shelter for your Survival Kit and or Get Home bag. This tarp is also the perfect size and camo pattern to cover your sniper hide. Includes 6 "V" Stakes and 50ft. of 3mm cordage. Multicam fabric is a Military Patern Fabric use commonly by the US Special Operations Community. 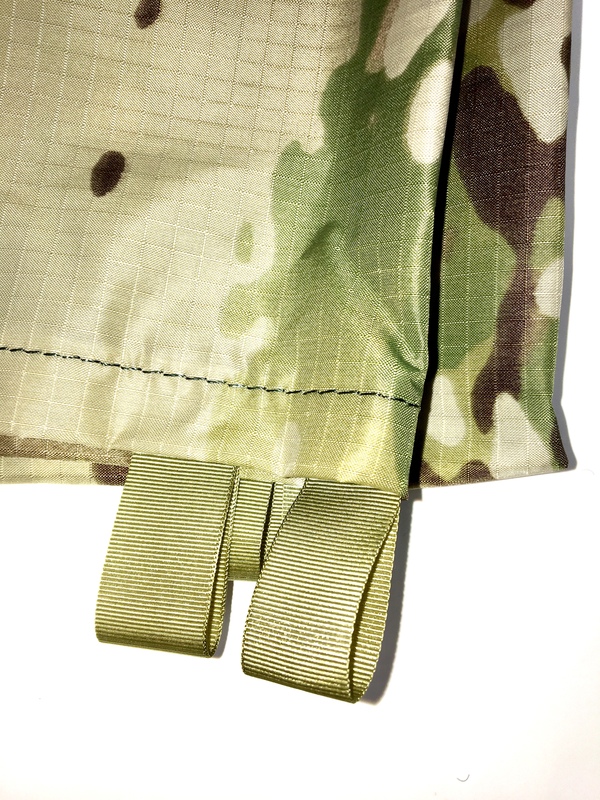 The MultiCam® fabric has up to 2 1/2 times the amount of water repellant coating of other tarps. The heavier coating gives you the max in water proofing, and fire retardance. After many request from Bushcrafters and Outdoor Enthusiast we have returned to producing Multicam tarps but only under our Etowah Gear Branding. This Kit includes 6 "V" Stakes and 50ft. of 3mm Cordage.